When you think of crates you don’t tend to think of futuristic scenes involving robots and lasers; crates are plastic boxes that have not changed in over 30 years. But that’s not to say that there isn’t something to be said about the future of crate hire. The removals industry as a whole has changed rapidly over the last ten years with the commercial removals sector shrinking by 50% and many more people using DIY services. With the changing landscape of removals, the crate rental industry has also had to make changes and up our game to compete and stay relevant. At a recent CMG meeting, the delegates were tasked with discussing the future and where we would be in years to come; many suggestions were made including crates being delivered by drones and tracked using RFID (Radio-Frequency Identifying) tagging. Both of these seem a little far-fetched on the surface, but in reality, they are probably not too far away from the truth. Who’d have thought that less than fifty years after Star Trek first introduced us to them, our technology would have surpassed that of the ‘communicators’ and in fact touch screen technology and communication devices which included video calls to rival that of the enterprise comms would be the new standard. 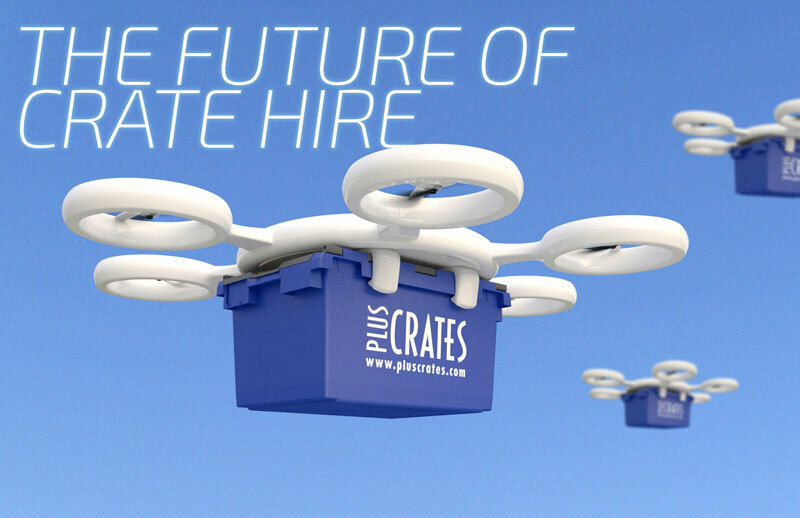 Crate hire is no different to any other industry; we move with the times, and as new technology is introduced into the commercial industry, we at Pluscrates aim to adopt it and improve upon it. Recently terms such as ‘behind the times’ have been branded about when discussing crate hire, these are simply not accurate. Crate hire may not seem like a cutting edge industry, and let’s face it, it’s not, but we are benefitting from some rather exciting new technology. 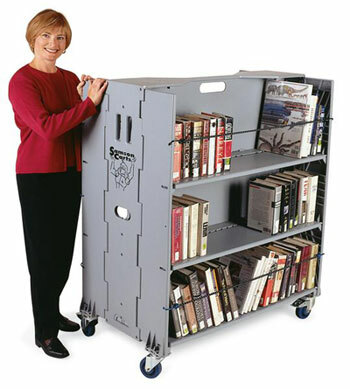 A few of the more recent ideas which have been looked into are; crates which can weigh your goods www.weightcrate.com, robotic skates (imagine one of those robotic vacuum cleaners but capable of carrying crates to the location you request) or unicycles, self-driving vehicles, drone deliveries and flesh like robots acting as porters. Some of these ideas are a little far fetched and by far more technologically advanced that is necessary for an industry such as ours, but you never know what the future holds. 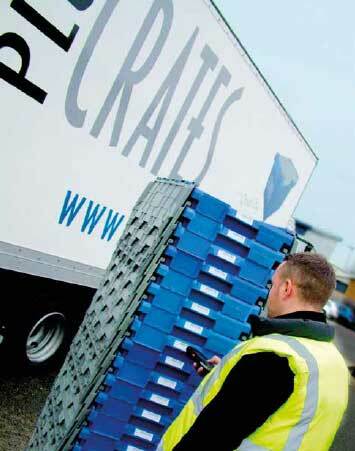 For now, though, here are some of the recent advances which crate hire has benefited. 3D printers are becoming so popular that most universities now own one, not to mention you can get anything 3D printed in aluminium, precious metals, plastic and even porcelain for a fraction of the price of purchasing a 3D printer from online stores such as Shapeways. Needless to say, the crate hire industry is also using 3D printing, of course to 3D print a whole stack of crates is hardly cost effective, but our crate manufacturers can now 3D print crates to test out new designs. Although the standard L3C does not look like it has changed much over 30 years, in reality, minor changes have been made every few years to improve the functionality of the crate and to meet the requirements of our customers. Each time a minor change to the mould is made we make a new prototype, with 3D printing, these can now be created more quickly and cost effectively, therefore saving time and money on additional manufacturing changes. Injection moulding is the technique used to produce our crates. Over the last few years, there have been great improvements in the way in which injection moulding is carried out. Improvements in manufacturing technology and the computers that run the machines has led to huge developments in the machine based sensors and the up to the second information provided by these to the computers, this has resulted in consistently high levels of output, reduction in waste of raw material. 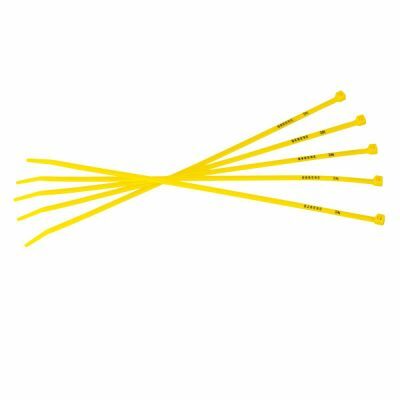 The cooling rate has been reduced by up to 50% in some cases as has the required clamp force and there has been a considerable reduction in the warping and misshaping of products during the manufacturing process, leading to an overall much more consistent output of product. With the emphasis on most industries being to improve their impact on the environment and their carbon footprint, this improvement in crate manufacturing puts us closer to achieving our goals to become a carbon neutral company. Such a task is no mean feat in this industry, and we take this responsibility very seriously at Pluscrates. 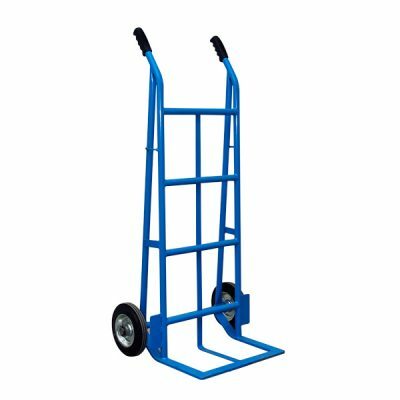 Returnable Transit Packaging (RTP) is already a more environmentally friendly product than cardboard, but the carbon footprint generated to produce and deliver the product needs a lot more work to reduce and eradicate. New improved vehicles, recycling of old crates, improvement in manufacture and material sourcing as well as new routeing technology allowing us to maximise the efficiency of our vehicles, thus reducing our vehicles fumes output, are just some of the ways we are working towards this. At the CMG meeting, Gerard Geijtenbeek – MD of Roldorent in Holland took us through the ins and outs of RFID tagging and the benefits it can have for the crate industry. Never loosing a crate again, always knowing where a crate has come from and which route it has taken to get there is for some an exciting prospect which will make their jobs a lot easier, for others it may make their jobs obsolete and for others it is just simply too much information for what they need. Either way, it is a technology that is being experimented with in crate hire and by all accounts is having some success in Europe. In the UK we are a few years away from RFID tagging our rental crates, and in reality, there are a lot of hurdles to overcome e.g. 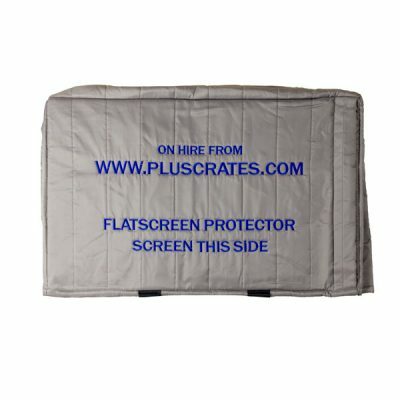 How to deal with damaged tags, how to avoid magnets from damaging the tags, what to do when you receive a crate that is not tagged, etc. 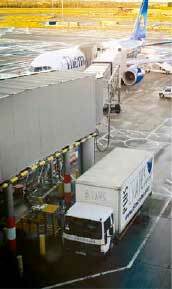 For the UK, barcoding seems to be a solution to some of the crate issues experienced by our customers. Many of you have heard of barcoded crates, some of you may even be using them on individual projects so will be aware of their uses. Here at Pluscrates we have been experimenting with barcoding of crate for several years now and are aware of their benefits and their limitations. 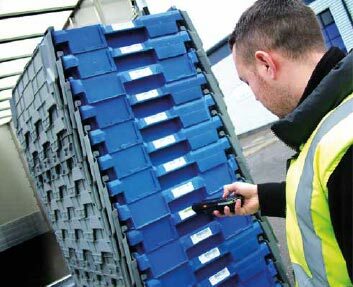 Our new barcoding software, which went live just before Christmas, allows us to have greater control over the reporting side of the system as well as giving us greater flexibility over when and where the crates are scanned and the information shown on the barcodes themselves. We are the only UK based crate hire company whose barcode labels can be personalised with the name and PO number for the desired project as well as any other information required e.g. Contact name, floor number, etc. Allowing for a simple glance to tell you where the crates are to be delivered to or have been collected from without the need for software to be downloaded and referred to or expensive technology to be purchased. Our barcodes all have unique references allowing for them to be entered into in-house systems for tracking; a recent project, carried out by one of the major broadcasting house, has found this functionality to be extremely beneficial in their HR move and have begun to utilise them in further moves where security of data is a key aspect. Barcoding crates will not prevent crate losses but will allow for you to ascertain if managed properly, which projects may have lost the relevant products. If you’d like to discuss the use of barcoding for any up and coming projects, then please contact one of our sales team to see if they are the solution for you. 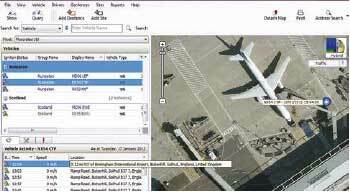 For several years now we have been able to track our vehicles allowing us to give up to the minute information on where any of our fleet of vehicles are in and around the country at any given time. 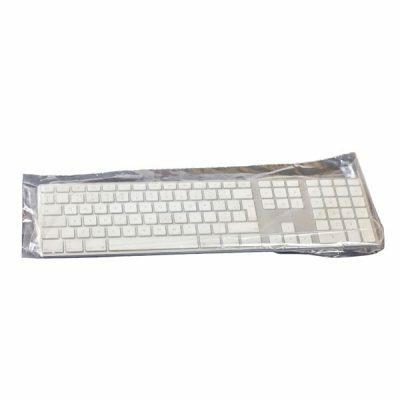 This makes it possible to provide more accurate ETAs for when your delivery or collection is going to take place. We can tell you the route taken and even the time spent on site, which allows for greater transparency and more accurate charging. We have had several new Iveco 7.5t and 18t vehicles added to our fleet over the last few months, these vehicles contain not only the newest fuel efficiency and eco-friendly technology and motorway lane control, but also state to the art camera and recording equipment allowing for driving technique and road use to be monitored as well as having footage of deliveries and collections being carried out. Over the next 18 months, our whole fleet will be replaced with these ‘green’ and technologically advanced vehicles. In the last twelve months, our office based systems have gone through a major overhaul, and it’s not over yet. Our crate rental management software is now all cloud based, allowing our staff to access it whenever and wherever they are in the country. Some of you may be aware of our customer extranet which allows you to see current hire information for your account as well as signed pods which can be downloaded and printed. The current extranet will also enable you to place orders which are then sent directly through to our sales team. Over the next six months, we are aiming to improve this online ordering system and are working closely with our IT company to bring you an online ordering system that is both intuitive and easy to use. Combine this with our new website and customer portal, both due for launch later this year, and we are looking to have an exciting year technology wise. Often it is only by looking back that you will see how far an industry has come. Talking with John Mitchell a couple of months ago he was recounting a story from the days when crate movements were logged manually; handwritten in a ledger with not an excel spreadsheet in sight, no email to speak of and signed dockets were posted out to clients. These were the days when computers were not commonplace in an office environment. He recalls the day he first purchased a desktop computer and introduced the world of crate hire to Lotus 123. Working in the industry for as long as he has, John will often recount tales of these times, baffling us in the office with stories manually calculating invoices and hand written delivery dockets. 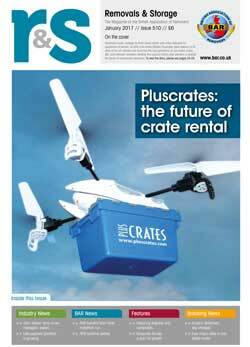 We have, thankfully, progressed past these times but these stories just go to show that all it takes is a little vision, uptake of technology and a drive to push the boundaries in what can often be considered to be a stagnant industry to make the future of crate hire a new and exciting topic. I look forward to keeping you all up to date on the leaps and bounds our industry will take in the next few years. We will be updating our blog with all such improvements and updates. So keep watching for all the new and exciting scoops coming in 2017.